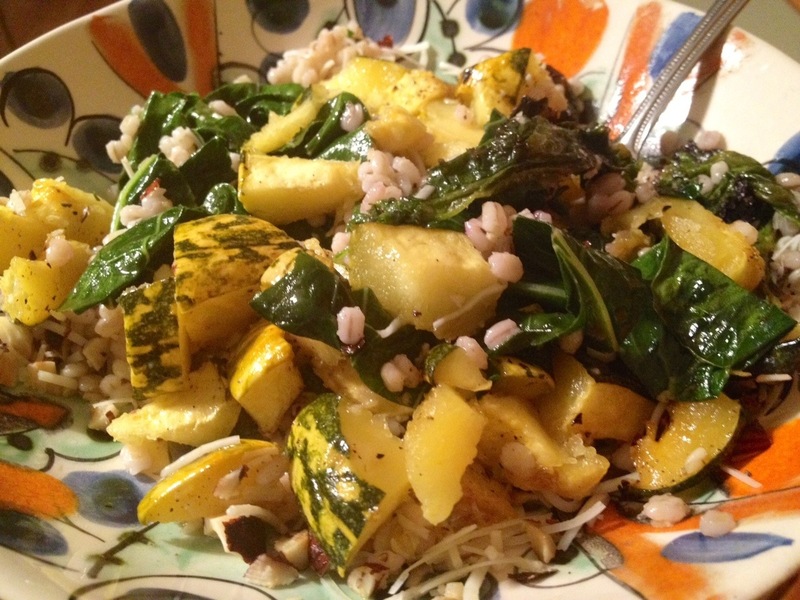 Squash is the best, and there is so much you can do with it! But simply roasting it is one of my favorite ways to enjoy it. 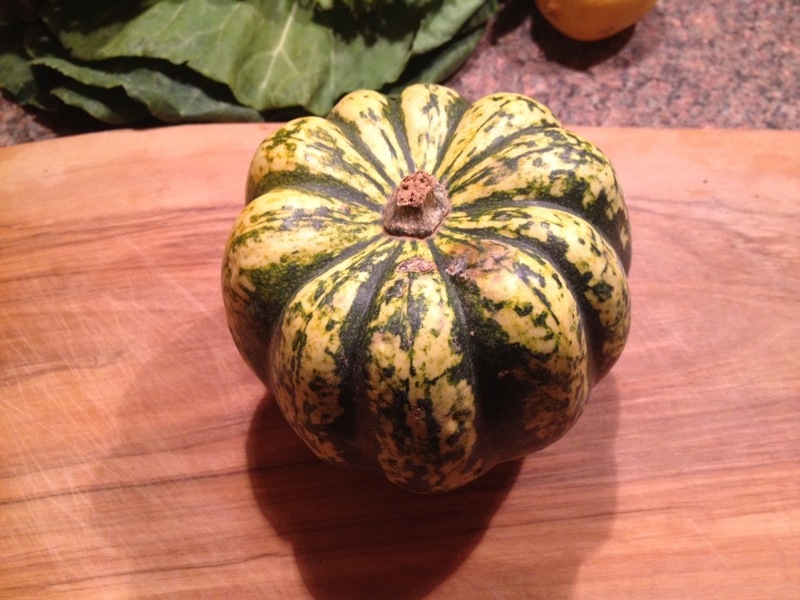 I had some leftover mustard and collard greens and decided to make a healthy little dinner for myself incorporating some roasted squash. 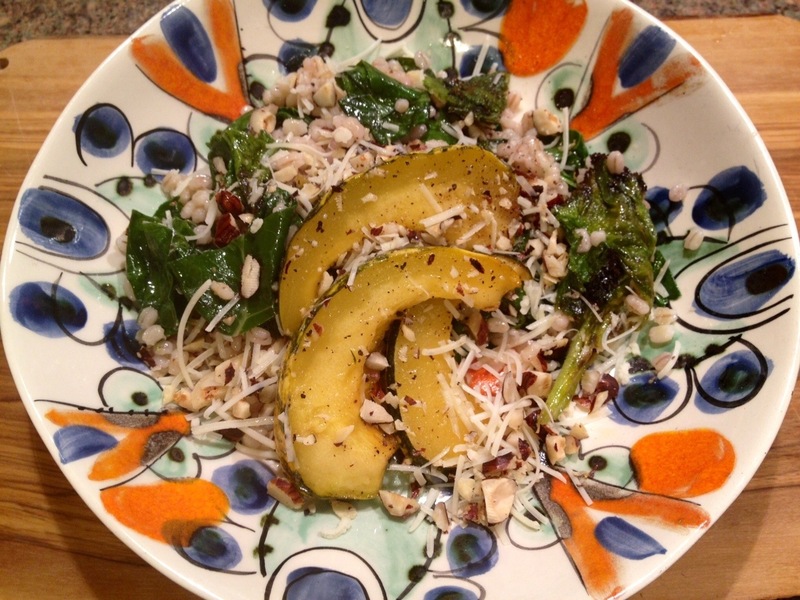 One of the benefits of getting my CSA vegetables every week is that it makes me learn to try cooking things I might not have bought on my own. Like mustard greens for example. I’m sure I’ve had these at some point in my life, but until they were staring at me from my counter did I realize that I didn’t know these greens very well. I took a bite of it raw- tasted like spicy mustard! 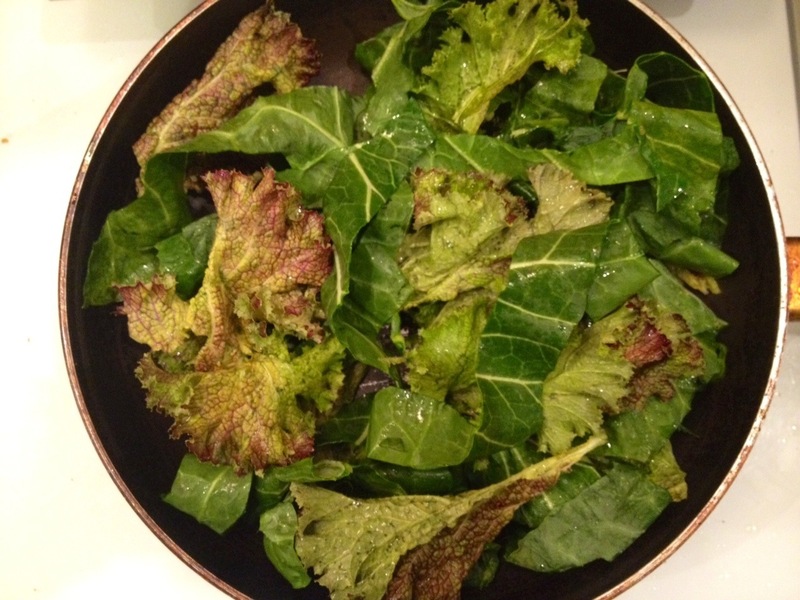 I thought it might be too intense as a raw salad, so I decided to sauté it like I usually do with my collard greens. I loved it. Very flavorful but not too overpowering. I can’t wait to see how else I can cook them! 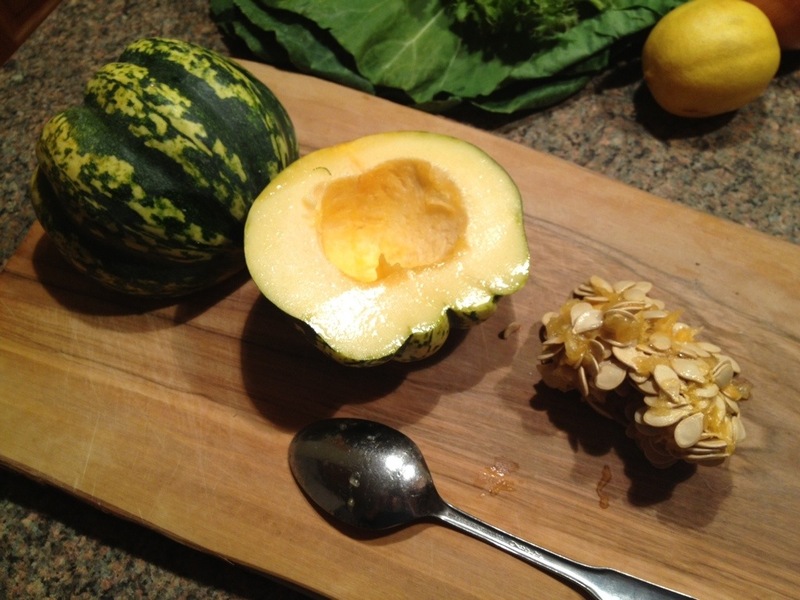 Cut your squash in half and remove the seeds. Slice into half inch wedges. 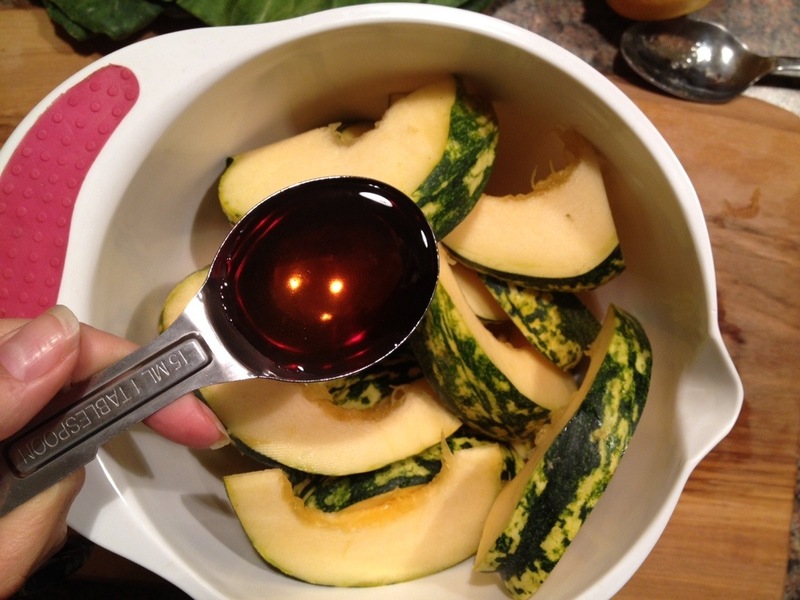 Add the maple syrup, olive oil, and s&p. 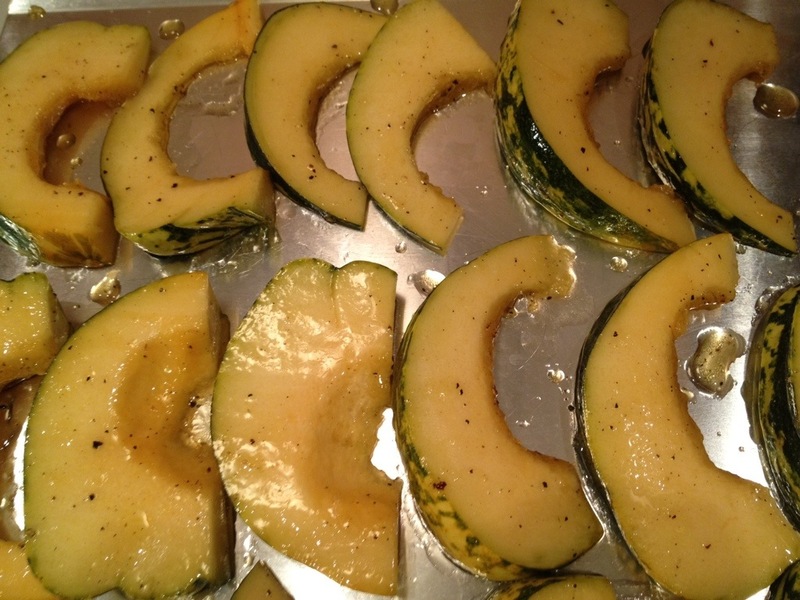 Mix well so that all the squash is coated. 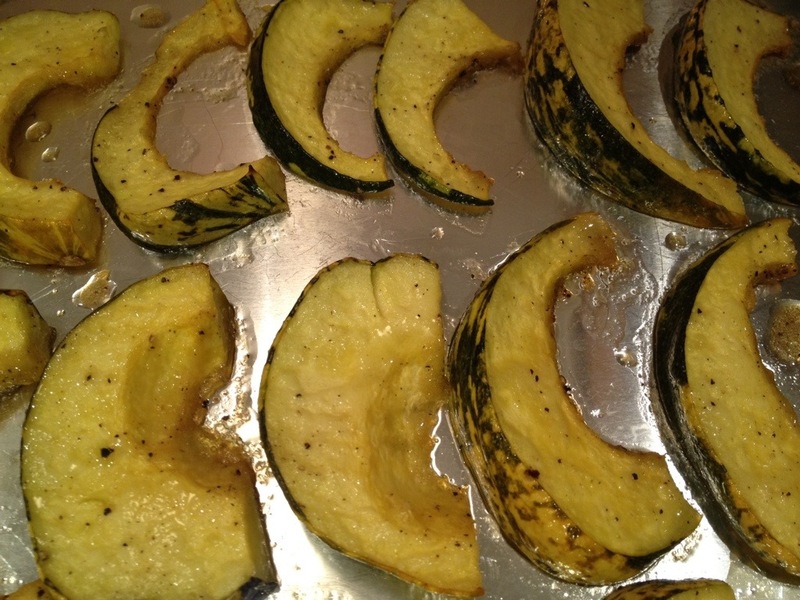 Place the squash in a row on a baking sheet and bake for 45-50mins, or until fork tender. 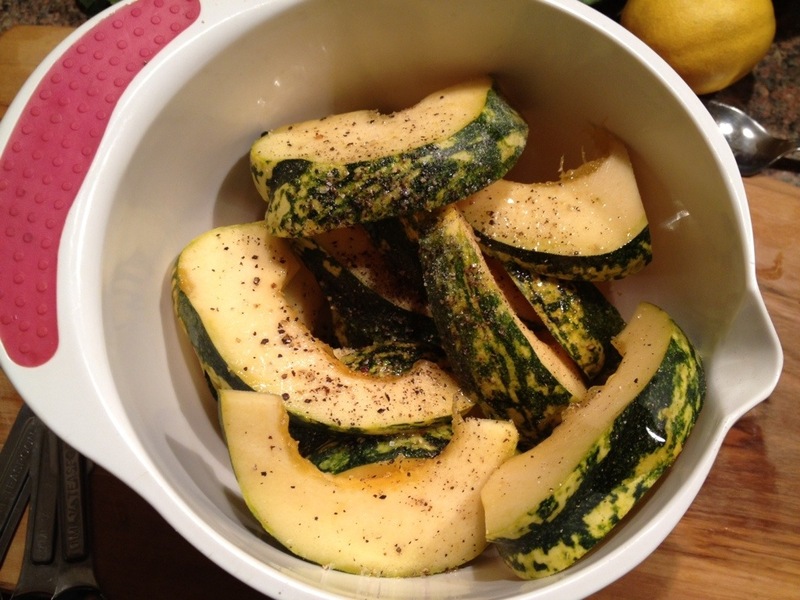 Next get your barley cooking, as this will take about the same amount of time as the squash. 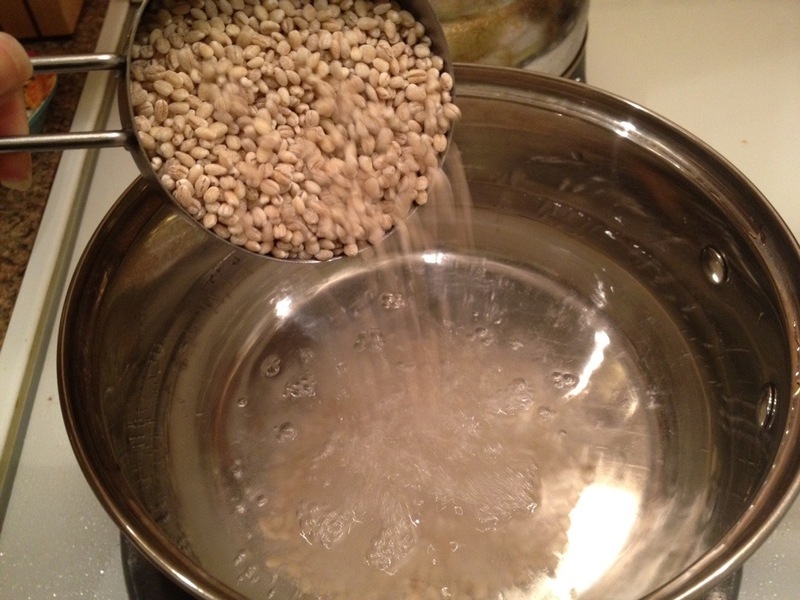 Add your barley to a pot of boiling water and cook until all the water has been absorbed, about 50mins. 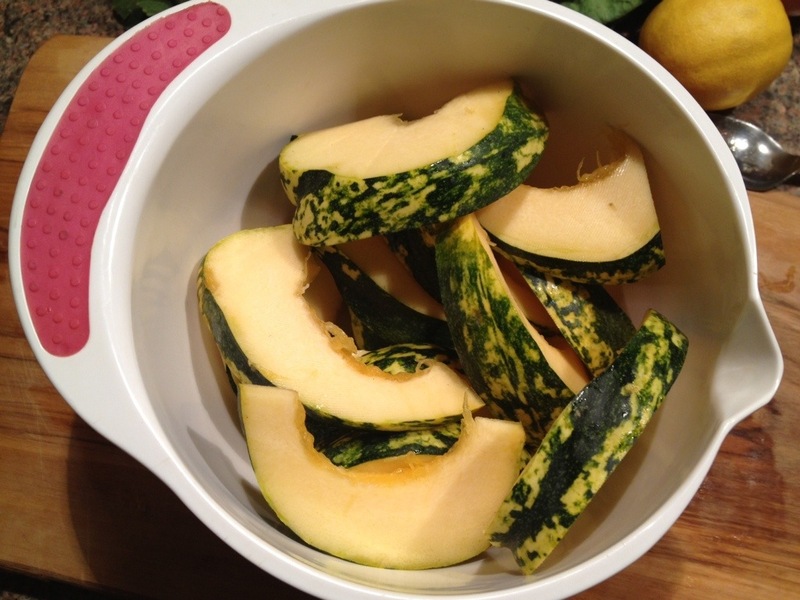 About half way through the squash and barley cooking, wash your greens well and give them a rough chop. 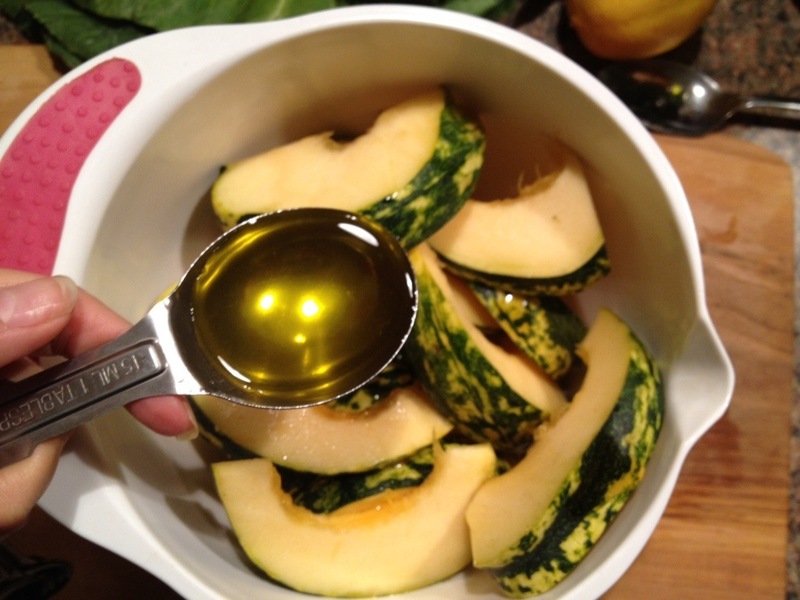 Sauté with a little olive oil for about 4-5mins so that they wilt a bit but keep their nice green color. 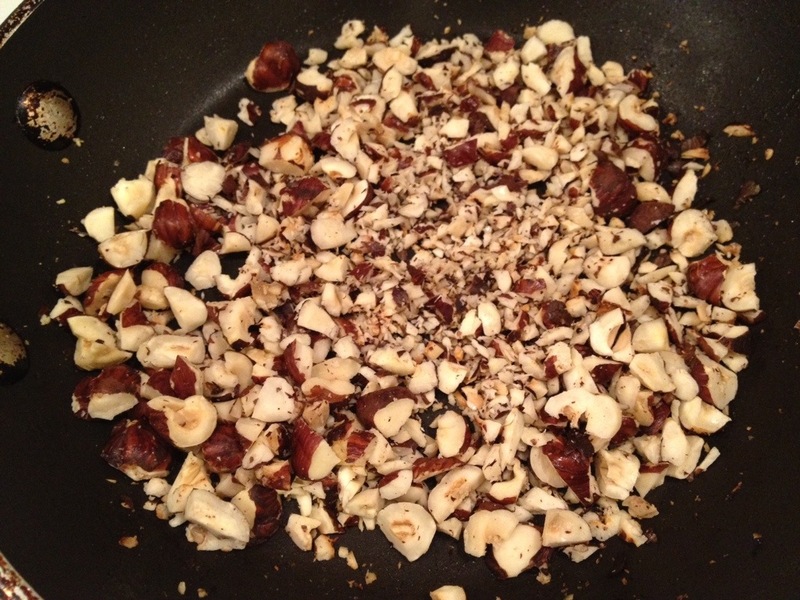 Add the greens to the cooked barley, with the juice of one lemon as well as 1-2 tablespoons of olive oil. Toss together and s&p to taste. 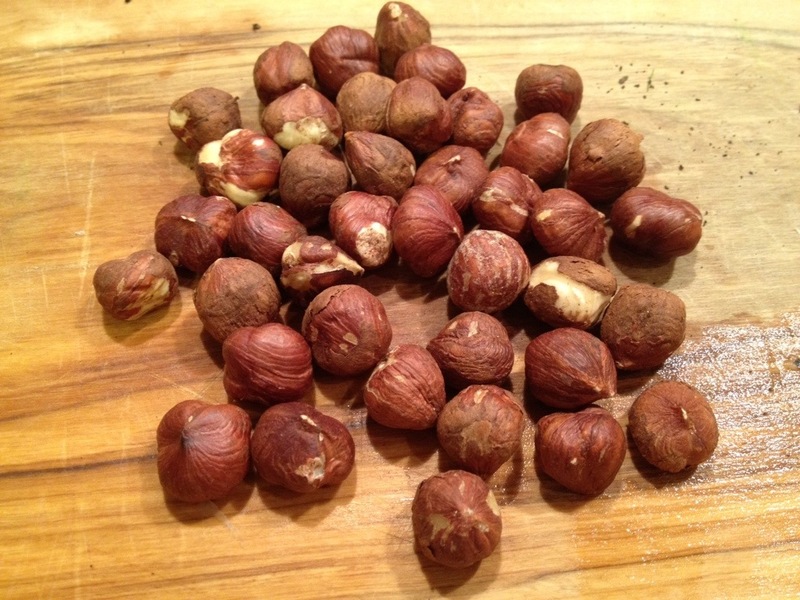 Next, chop the hazelnuts and toast for a minute or two. 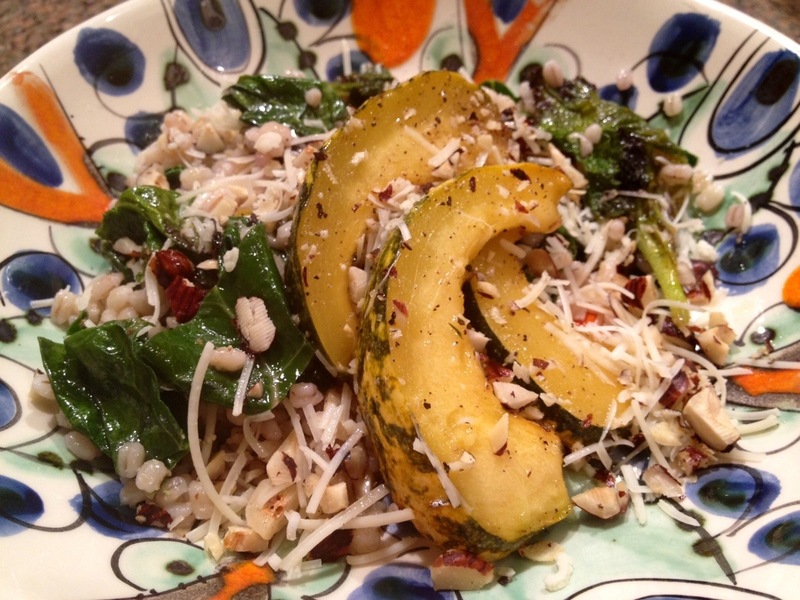 Put your barley mixture in a bowl, add the roasted squash, and top with shaved parmesan cheese and toasted hazelnuts. Done!